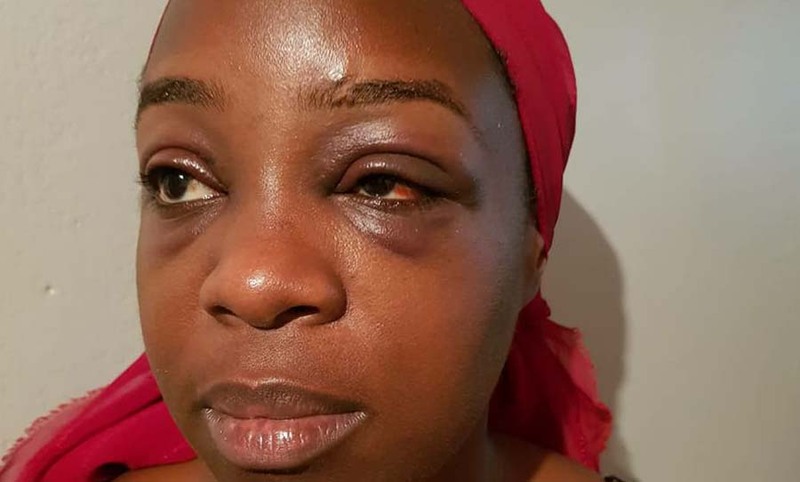 Singer Angella Katatumba was on Friday morning attacked and beaten up by a gang allegedly mobilised by Kabalagala Chicken Tonight branch staff. According to the story from police, witnesses and the singer, Katatumba was together with a Jamaican singer Kuzi K, with whom they are working on a number of songs. Katatumba claims she and the Jamaican artiste had come to grab a bite after a long day working on their upcoming video Out of my head. The two then made their orders and sat to dig in, when her colleague asked for Ketchup only for the waitress to present them with a bottle of Chili Sauce. Kuzi K then sprinkled the contents of the bottle on his food unaware it was Chili Sauce and not Ketchup. On realising what had happened, they protested. “We understand they work all night and all day and could have been frustrated, but when we asked the waitress to show us which is Ketchup and which is Chili sauce, she simply pointed at latter. 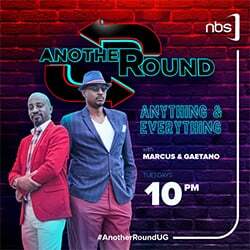 Kuzi K then filled his food with chili, on taking a bite, it was not eatable, so we raised a complaint,” Katatumba told Nile Post. She added that on walking to the counter to raise a formal complaint, she was waved away, prompting her and Kuzi K to wake the manager who apparently was dozing a few seats behind them. “When we came in, we found the manager sleeping, we even have footage of the same. So after I raised complaint to the girl at the counter and she waved me off, We decided to wake the manager up and tell him what had transpired. Alas, as soon as we woke him, he angrily asked us to leave,” she added. The singer said that their efforts to explain the situation landed on deaf ears as the manager now summoned the security guard and a few ‘able bodied’ staff to yank Katatumba and colleague out of the premises. “They bundled Kuzi K and threw him all over, I joined in to stop them, they tossed me out as well,” she said. The singer says that in the scuffle, one of the group took her bag off her. When she tried to re-enter the takeaway to claim her missing bag, the security guard intercepted her. The video shows her being sent flying out of the restaurant, landing head first. On standing up, she is hit with a trashcan in the face and sent back to the ground. Katatumba sustained injuries on the head and in face according to medical reports seen by Nile Post. She says they had traveled with Shs6.2m which was due to be paid to a service provider in regards to a video they (her and Kuzi K) were shooting. A criminal case has been reported at Kabalagala police post under the file number CRB353/18, the Chicken Tonight staff have been summoned and recorded statements. Katatumba says that she will pursue the matter to court. “I have talked to my lawyers and they will be serving Chicken Tonight. I have sustained injuries that need treatment and have lost my money, all these costs must be paid,” she said. “It was something simple, we complained about a service because we deserved better, they should have at least apologised and promised better, but beating us was uncalled for,” she added. Nile Post tried to contact Chicken Tonight for a comment, but there was no response. Goodlyfe Musician Moses Ssekibogo a.k.a Mowzey Radio died on February 01, 2018 after a similar bar altercation along Entebbe road on Monday, January 22, 2018.